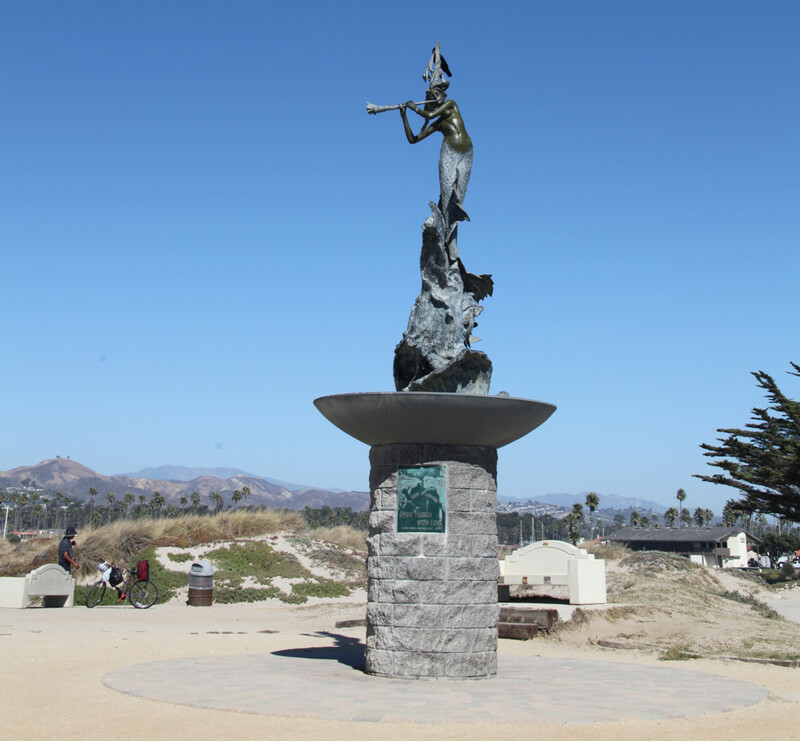 The Russian Mermaid statue at Soter Point, Ventura CA. Photo by Sunny Oberto. 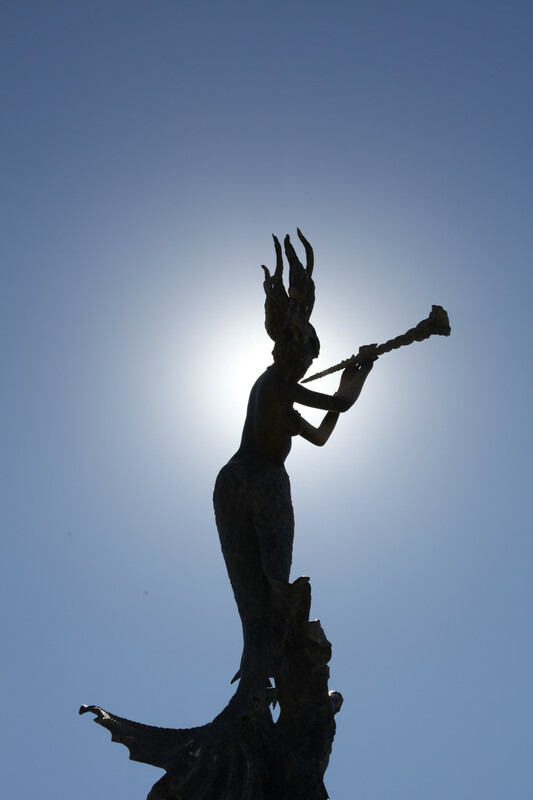 Alec Benke and his wife Tatyana emigrated from Kazakhstan to the United States and the mermaid statue is a symbol of their love for their new country. 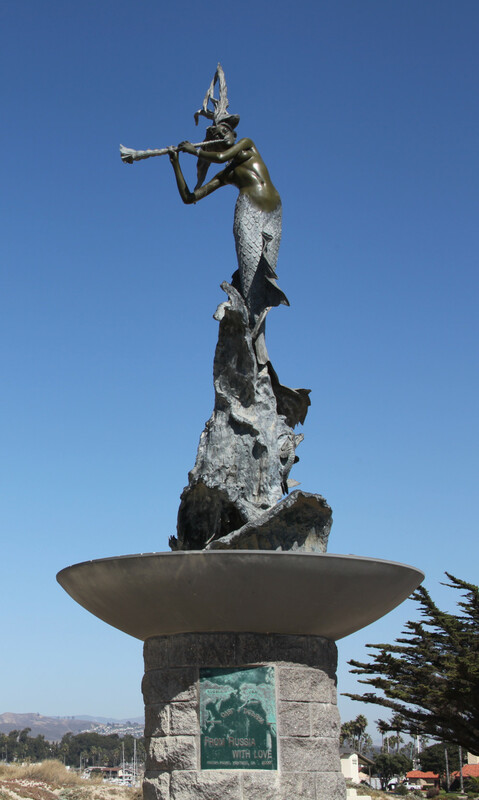 The statue stands on a base created by Alec. 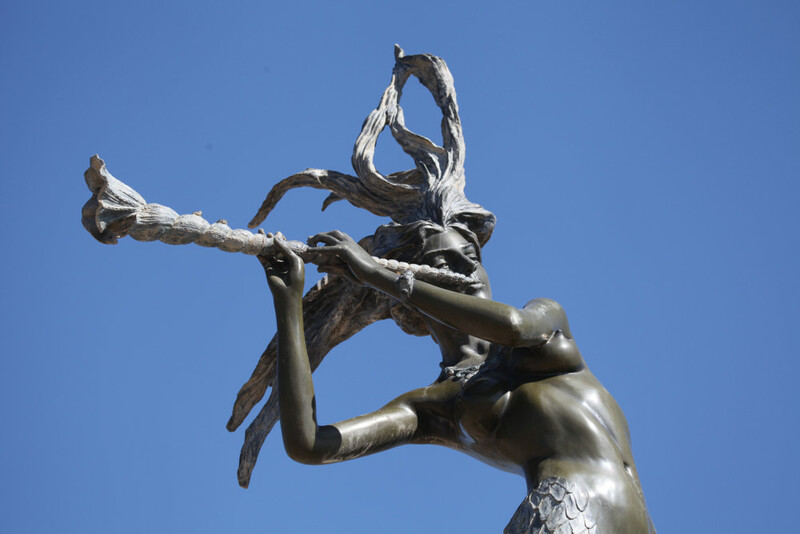 With the base, the sculpture reaches more than 20 feet into the air. 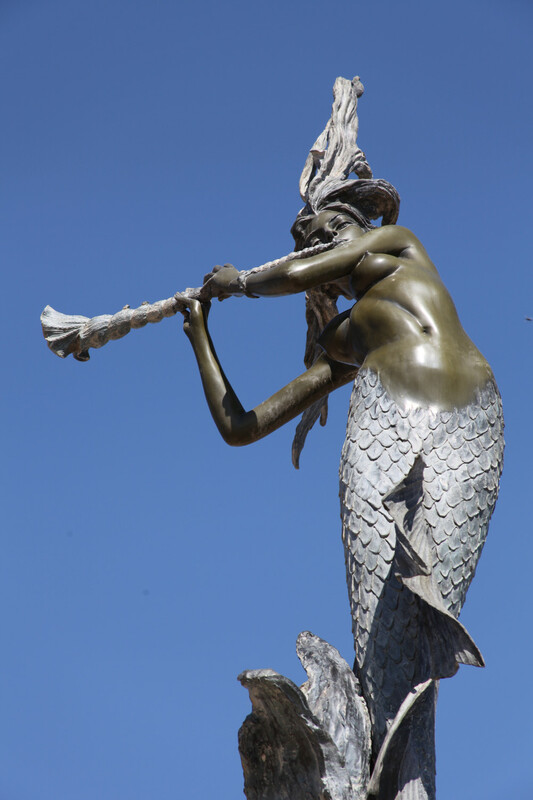 The mermaid sculpture is meant to be a water fountain, but there is as of 2012 no water yet – although it is planned. 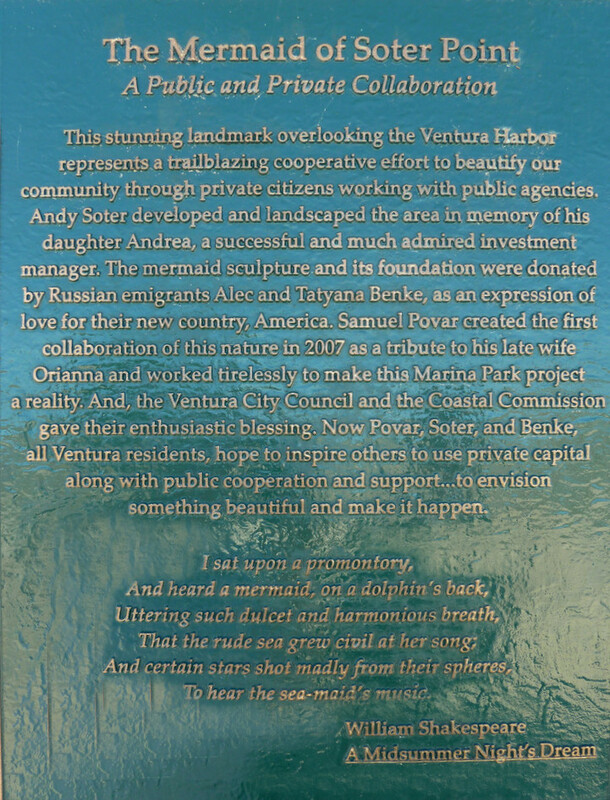 Soter Point is part of the Ventura harbor area, and Andy Soter dedicated time and funds to renovating and beautifying this area in memory of his daughter. 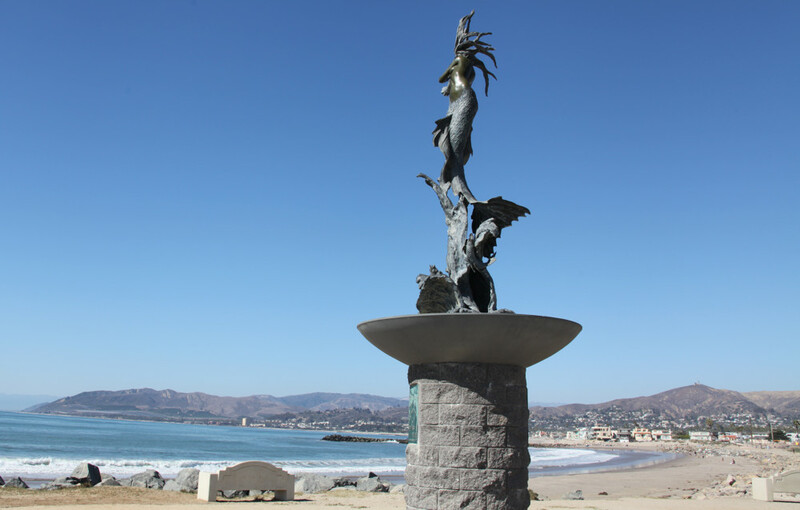 Samuel Povar has been actively involved in a number of public-private art collaborations in Ventura, and was instrumental in making this project possible. 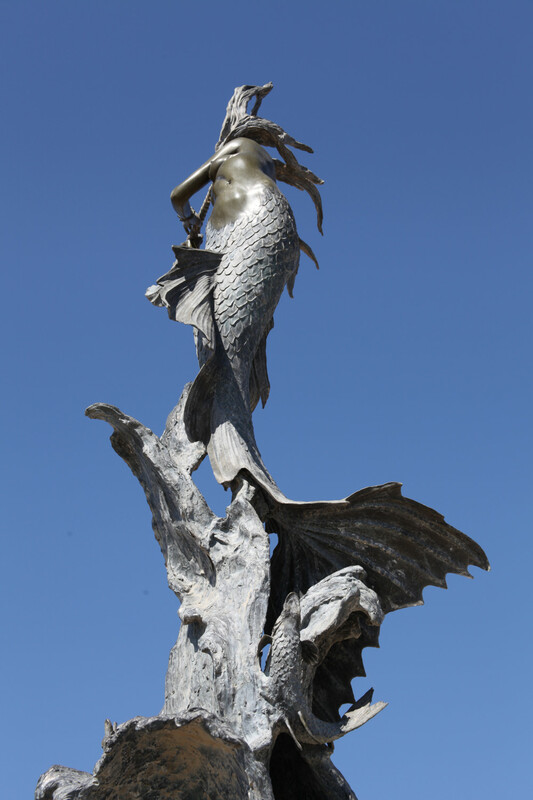 The mermaid statue at Soter Point is rapidly becoming a major attraction for tourists and also gaining fame as an example of public-private collaboration in beautifying a city. community through private citizens working with public agencies. something beautiful and make it happen. 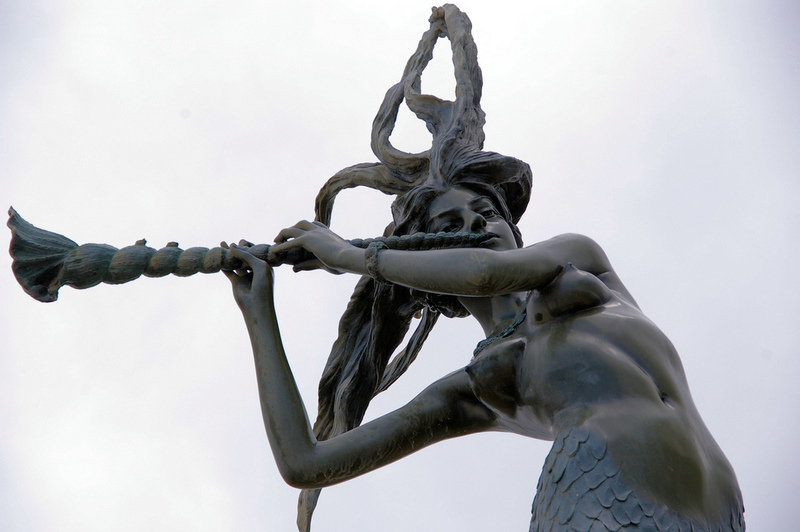 The Russian Mermaid of Soter Point in Ventura, CA. Northwest view. Photo by Sunny Oberto. 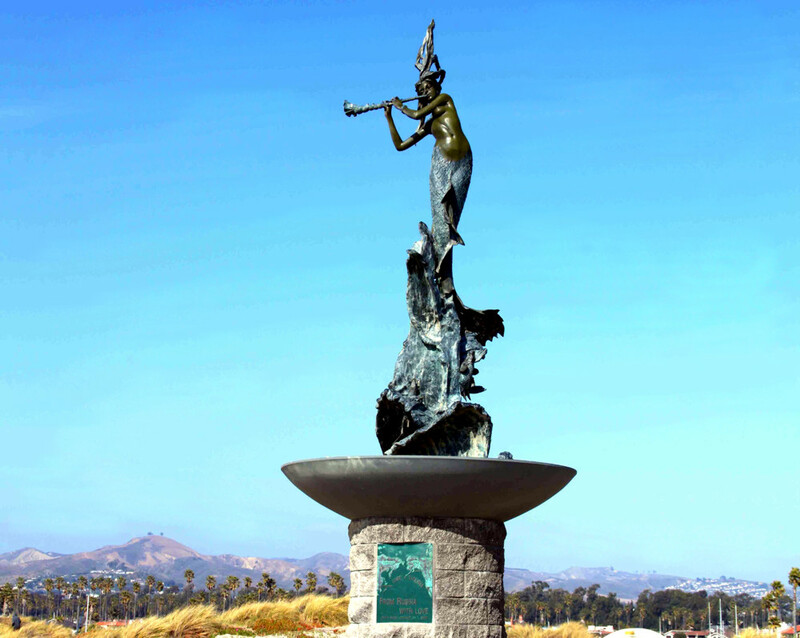 The Russian Mermaid of Soter Point in Ventura, CA. Photo by Sunny Oberto. 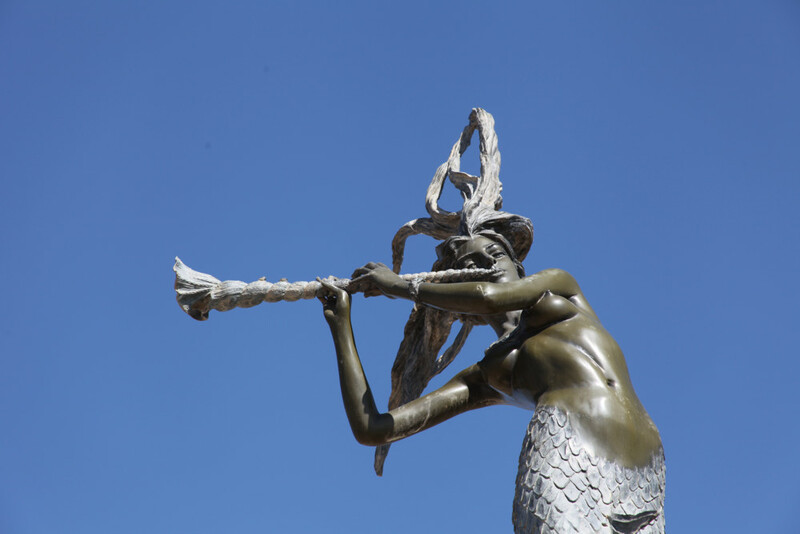 The Russian Mermaid of Soter Point in Ventura, CA. Northeast view. 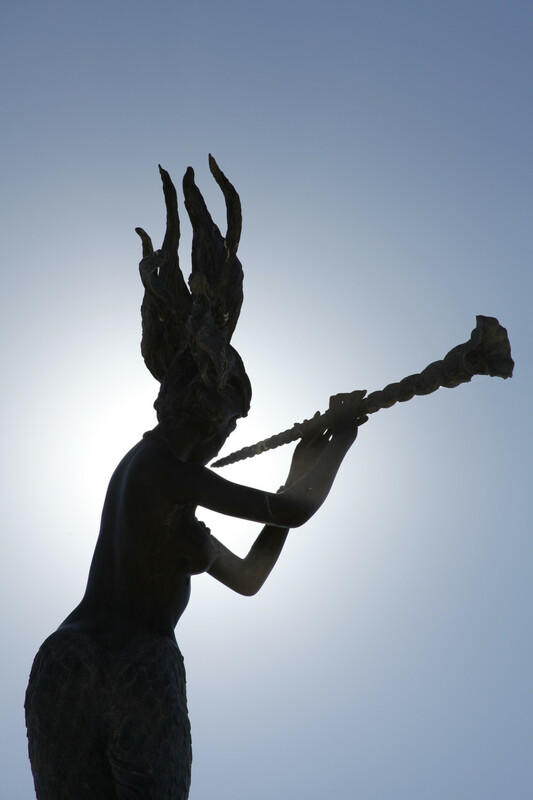 Photo by Sunny Oberto. 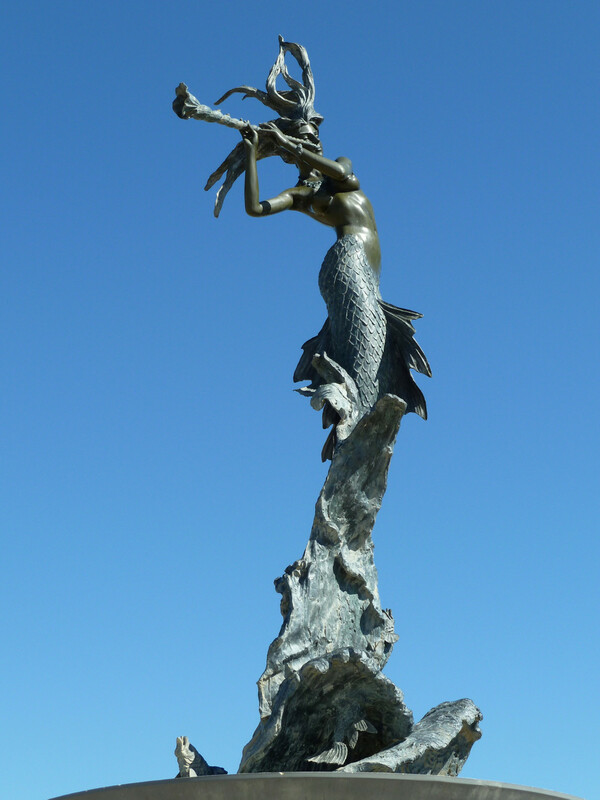 The Russian Mermaid at Soter Point, Ventura CA. Photo by Sunny Oberto. 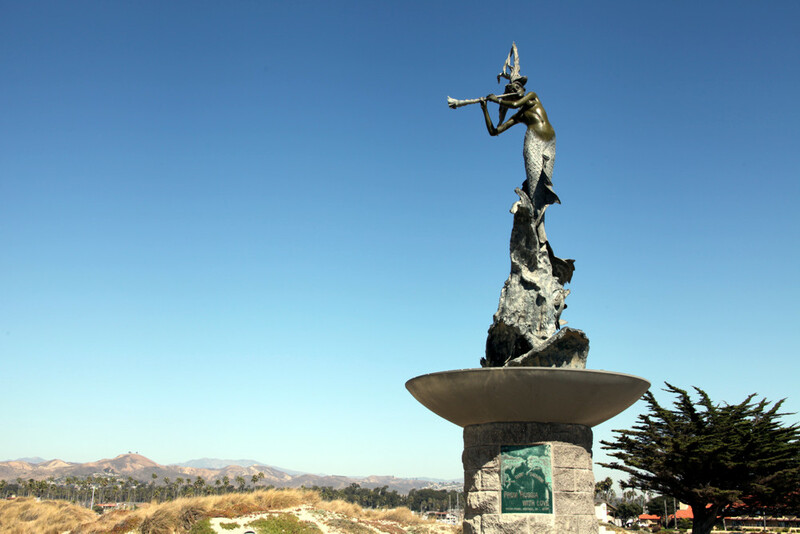 The Russian Mermaid of Soter Point in Ventura, CA. 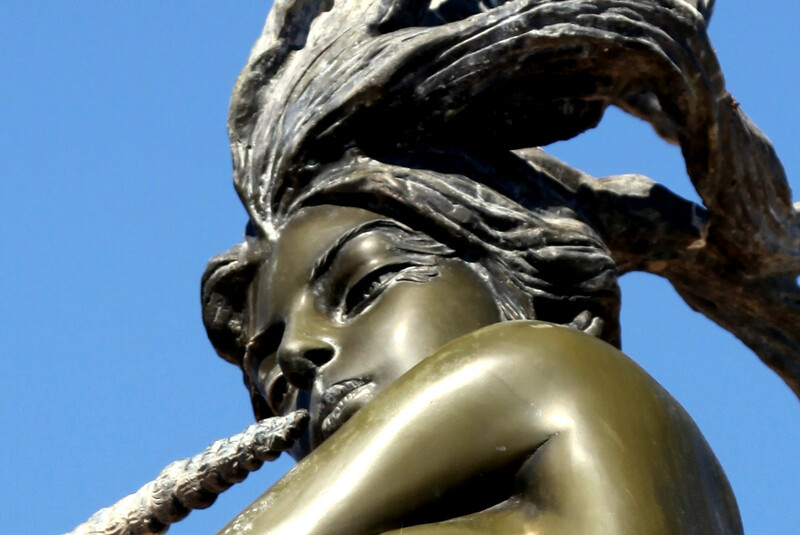 Notice the detail by the eye. Photo by Sunny Oberto. 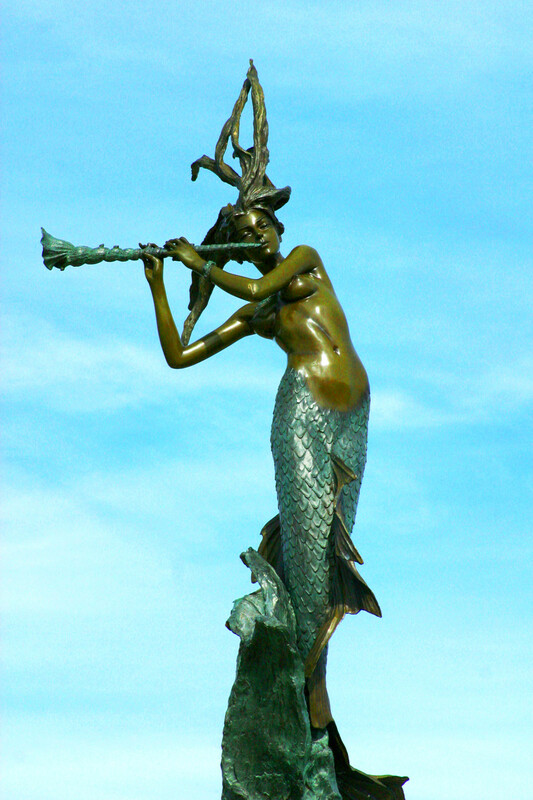 Inscription with the story of the Soter Point Mermaid statue. 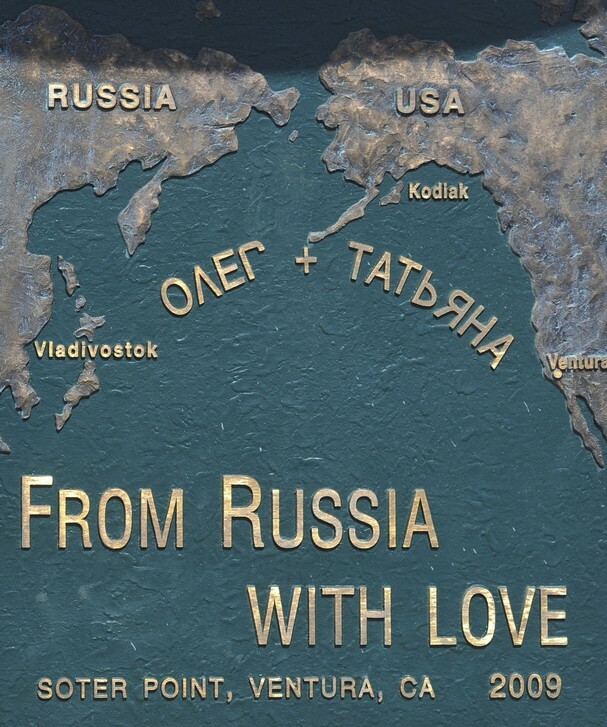 Many thanks to Samuel Povar for details on this project, and to Sunny Oberto for many stunning photos. 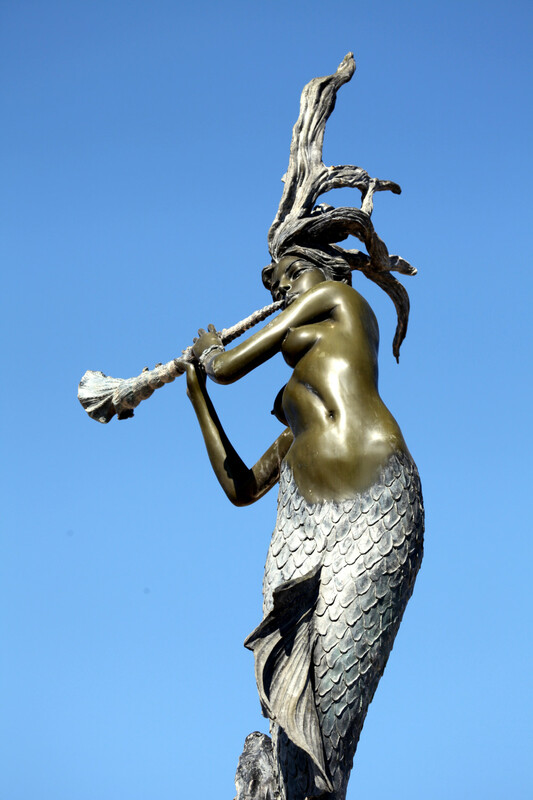 If you would like to add information about the mermaid statue or photos to this collection, please contact us.